Wirebound notebook offers a semi-rigid cover that you can wipe clean. Elastic strap keeps contents securely in place. Inside the polypropylene cover, 70 sheets of 24 lb. quality paper are ruled and microperforated for easy tear-out. 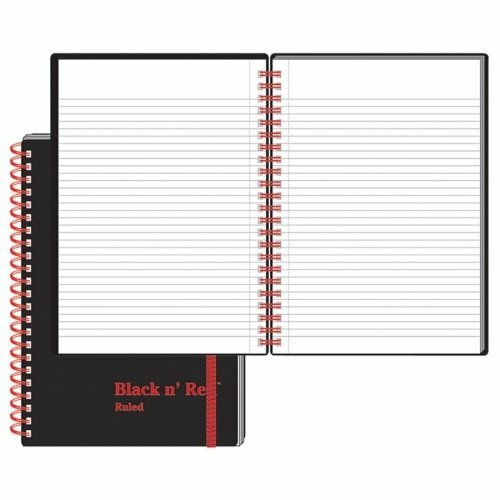 Red twin-wire binding keeps notebook flat for easy note-taking. If you have any questions about this product by JDK, contact us by completing and submitting the form below. If you are looking for a specif part number, please include it with your message.